As part of the OnLive PlayPack 200 celebration, OnLive gamers were able to play 200 PlayPack games for 200 seconds each and earn their place in the OnLive Hall of Fame. 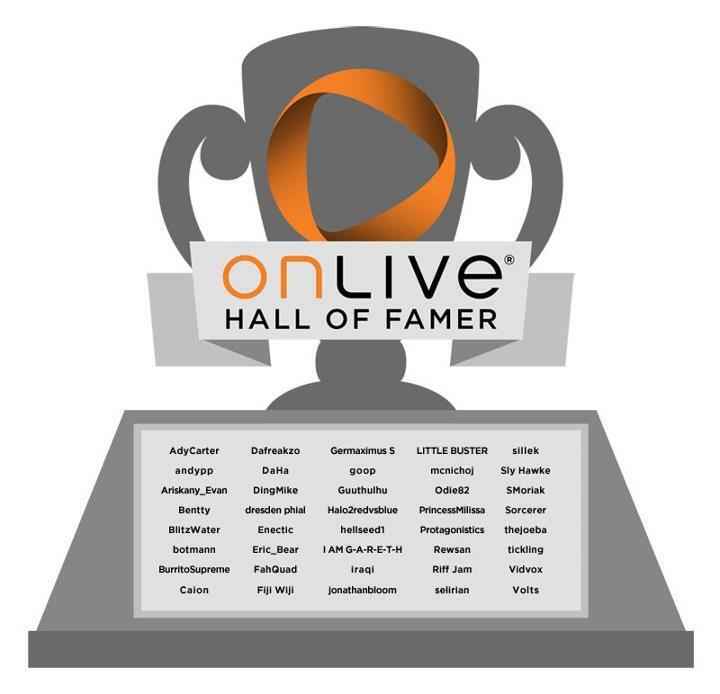 Those gamers who were able to play 200 PlayPack games and more during the OnLive PlayPack 200 celebration, were now officially inducted into the OnLive Hall of Fame and their names virtually engraved onto the OnLive Hall of Famer trophy. More importantly, an OnLive Hall of Famer avatar video was automagically added to the Hall of Fame inductees gamer profile, so that they are able to show it off to all the other non Hall of Fame gamers. For those OnLive gamers who'd like to keep their original avatar video, all they need to do is visit their account summary page on OnLive's website and change it back. But once they change it, there's no going back to the Hall of Fame video, so careful if you are one of them. OnLive also added special avatar videos for the members of the OnLive staff that have profiles on OnLive, like OnLive MJ (OnLive community manager Matt Jensen) or OnLive Nate (OnLive senior manager of customer relations Nate Barsetti). For those OnLive gamers hoping to be inducted into the OnLive Hall of Fame sometime in the future, OnLive has announced that they should stay tuned for future events for their chance to join this prestigious league of OnLive gamers, as this was only the first of many chances to follow, to be inducted into the OnLive Hall of Fame. The best way to stay up-to-date on what's happening on OnLive is through OnLive's Facebook page.